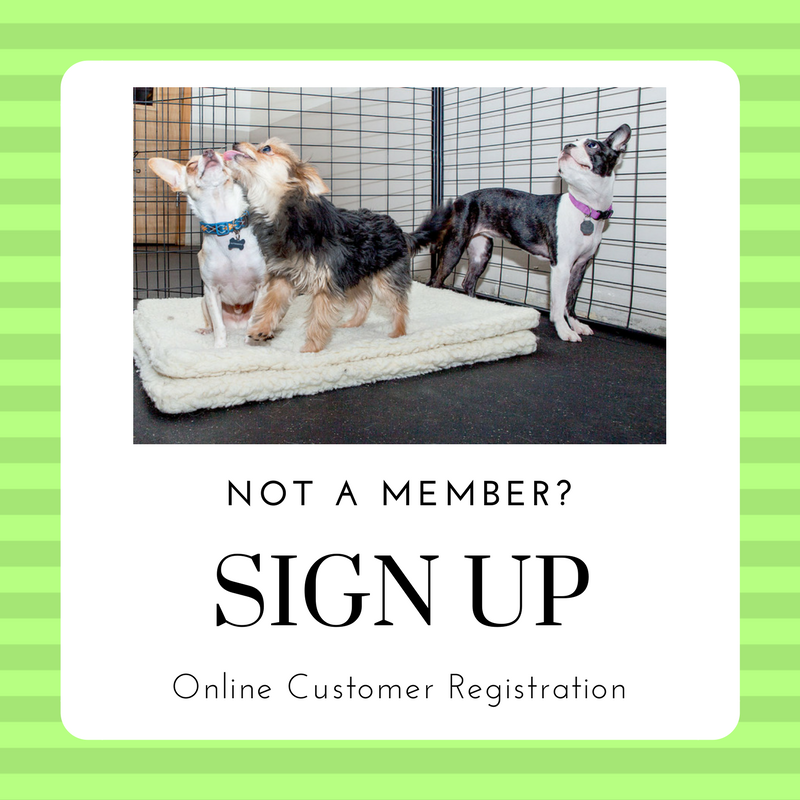 To enroll your dog as a Club Member, please CLICK HERE and sign up for a customer account, filling out all required (starred) information, and uploading a picture of your dog. Using the customer account, upload your dog’s vaccine records to their account. If you do not have those records, please ask your vet to fax them to us at 206.957.9099 or they may email the records to scc@records.gingrapp.com . Our staff will manually verify your records- this step is NOT automatic and will not reflect on your account instantly. On the customer account page, request a Meet & Greet appointment at your desired date & time. At the Meet & Greet we will take some time to get to know your dog, introduce them to the play group and decide if they will be a good fit for the daycare. We will also give your a tour and answer any questions you may have. Unless otherwise arranged, we will not plan on your dog staying the whole day. If they do stay the whole day after their Meet & Greet, then normal daycare charges will apply. All dogs must be at least 14 weeks of age or older and have completed all of their puppy shots. We have a separate Low-Impact Room for the special attention and feeding of our youngest and oldest Seattle Canine Club members. All dogs six months of age or older must be spayed or neutered. Dogs are required to be in good health and to have been free of any communicable disease and/or parasite for 30 days before coming to Daycare. Any dog that becomes ill with a communicable disease will require veterinarian certification of good health to be re-admitted to Daycare. If we think that your dog is unwell or has parasites, he or she will be isolated and you will be asked to pick-up your dog immediately. All dogs are required to be free of fleas, ticks and worms and (excepting puppies) to be on a flea prevention program. Flea collars are not allowed.